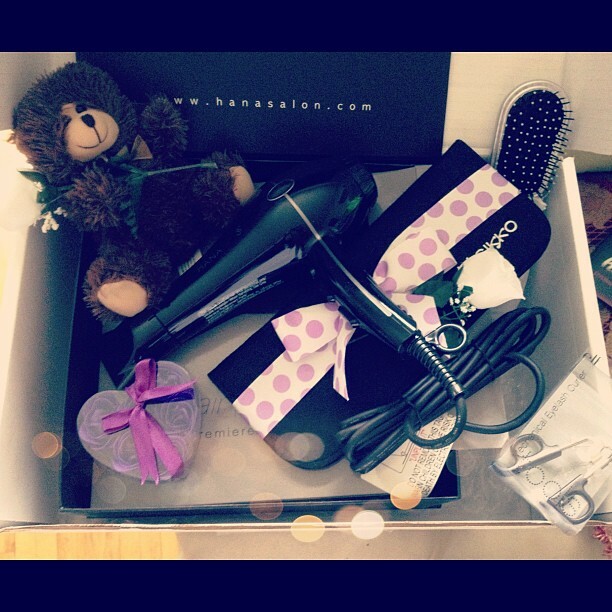 I was sent this stylish hair dryer from Misikko and Hana Salon, along with other goodies! The hair dryer worked beautifully and it dried my hair quickly but kept it smooth and silky. I have less frizz and I can do my hair in less time now. I love the settings, and it is quite powerful when put on high. I absolutely love it, and it was perfect timing since my old hair dryer was starting to break down. Have you tried Misikko before? Wonderful! I totally need a new flat iron and blowdryer. Maybe I can save to get one for myself! Great Review Love! Haven't tried it, and since I don't put heat on my hair much, I probably won't be trying it any time soon. But I'm happy it worked for you! oooh your so lucky! This looks cool! I haven't ever heard of this brand, but thanks for reviewing it. Sounds like a nice dryer. Hi! I really like your blog, your photo's and content you post are just so great! I really hope we get to know each other as I will be visiting your blog often, if you like my blog feel free to follow it too :P ! Feel free to stop by my blog, haha! I just started it yesterday :). No have never heard of this make Misikko, but I like the sound of it doing a good job. Will keep this is mind and thanks for sharing. Lovely review and the pic looks great. I've never tried Misikko, but I recently got a Karmin G3 Salon Pro Professional hair dryer and so far it's my favorite...the power! Thanks for sharing!